The New Museum has selected OMA to design a new building right next to its current home on the Bowery. Rem Koolhaas and Shohei Shigematsu are designing the expansion at 231 Bowery, a museum–owned property that currently houses an incubator program and private artist lofts. The building, funded through an $85 million capital campaign, will be integrated into the museum’s current home, a structure by SANAA that opened in 2007. Despite authoring Delirious New York, Koolhaas will just now be designing his first public building in the city. Set to break ground in 2019, the addition will boost the museum’s floor space by 50,000 square feet. The extra room will accommodate more galleries, improve circulation, and add “flexible space” for signature programming like IdeasCity, NEW INC, and Rhizome, as well as other events. Founded in 1977, the museum is the only institution in the city that exclusively displays contemporary art. It announced plans to grow its footprint back in May 2016, and since then, the museum has raised more than half the funds it needs to pay for the expansion. At that time, it said 231 Bowery would not be demolished. 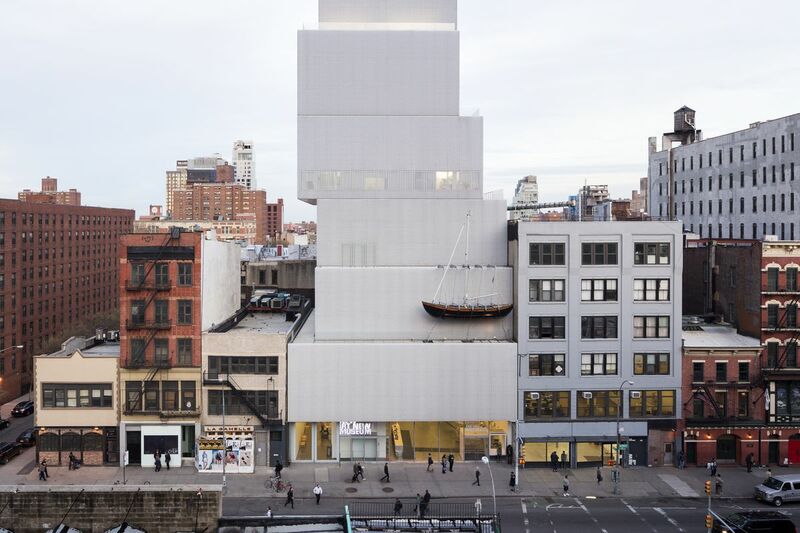 The Architect’s Newspaper (AN) reached out to the New Museum to get a date for the design unveiling, and find out whether the museum plans to keep the current building, which houses NEW INC as well as artist live/work spaces. A spokesperson said design development will take eight months and details will be shared at the end of the process.